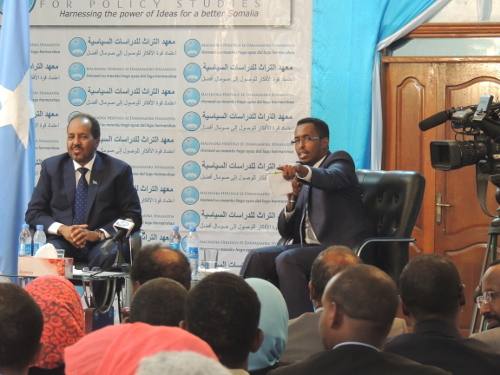 On 11 September 2014, President Hassan Sheikh Mohamud was a guest at the Heritage Institute for Policy Studies’ Forum for Ideas. 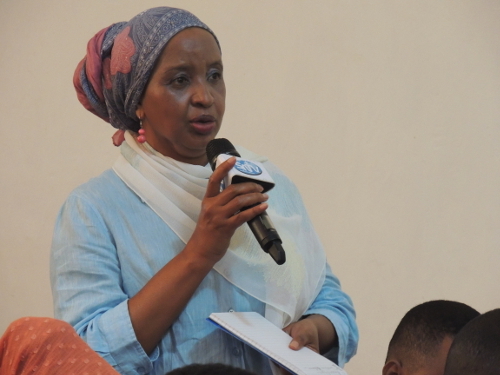 The HIPS forum is designed to be an inclusive platform for a candid discourse between policymakers and the public, and to facilitate dialogue among various stakeholders in the society. 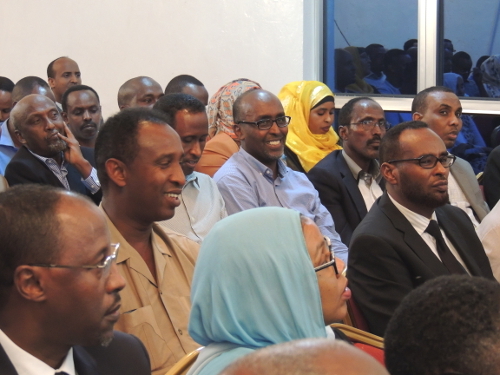 Thursday’s forum coincided with the second anniversary of President Mohamud’s election as a non-transitional president of Somalia. 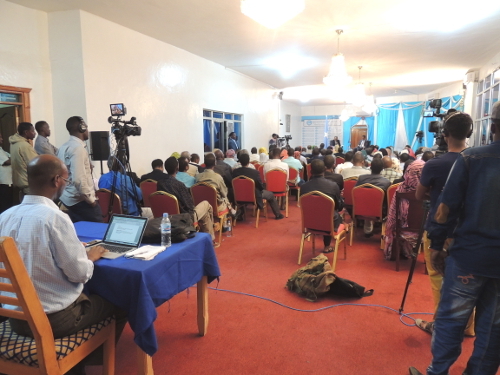 Over one hundred citizens, including civil society leaders, academics, former senior officials, media personalities, representatives of women and youth groups, and members of the business community participated in the Forum. 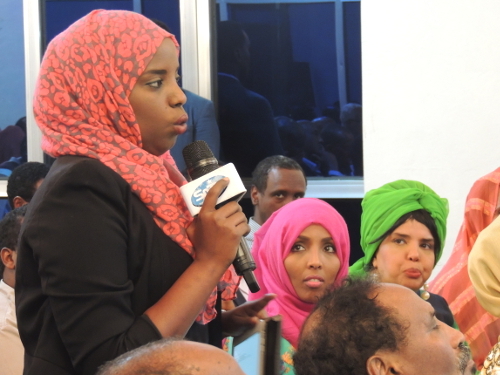 Participants posed scores of questions touching on wide-ranging and relevant policy issues – from improving security, fighting corruption to avoiding political infighting and protecting offshore natural resources. In his 15-minute opening remarks (followed by 90 minutes of Q&A session), the president focused on the achievements of this government over the past two years, using his Six Pillar Policy as a benchmark. 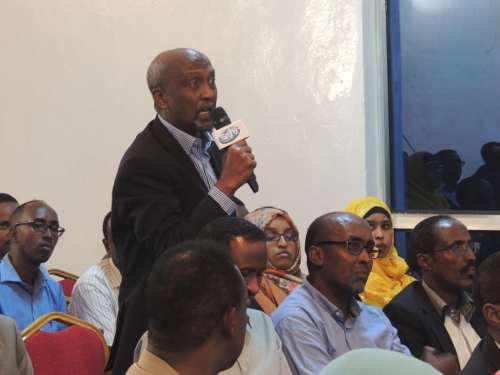 Mr. Mohamud noted that, while all targets were not met due to a confluence of factors, his government had made tangible progress on key issues. 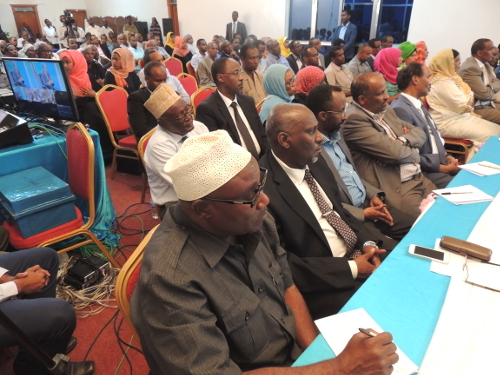 The formation of the Independent Commission to Review and Implement the Provisional Constitution. Reopening of some 100 public schools with over 100,000 students receiving free education, and over 1,500 teachers on government payroll. 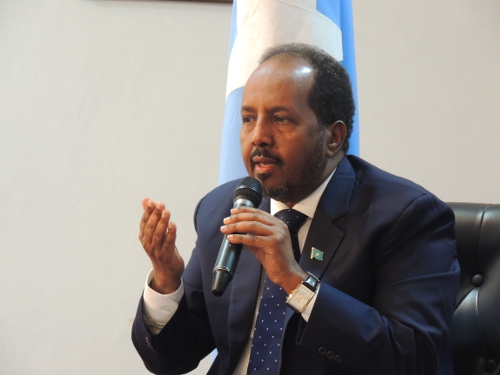 President Mohamud also declared his candidacy for the 2016 elections. Since inception in January 2013, more than 1,500 people have participated in HIPS forums, with at least 30% of them being women. 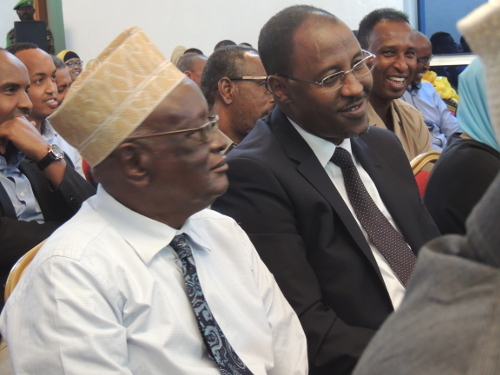 Previously Somalia’s Prime Minister, Speaker of Parliament and United Nations top diplomat for Somalia were guests at the Heritage Institute’s Forum for Ideas. 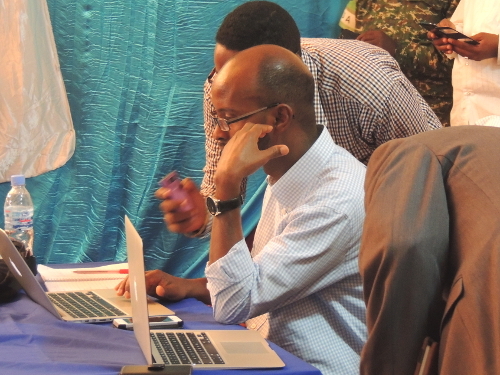 This entry was posted in Forum for Ideas, Uncategorized and tagged Abdi Aynte, Federal Government of Somalia, Forum for Ideas, Hassan Sheikh Mohamud, Heritage Institute, Heritage Institute for Policy Studies, HIPS, Mogadishu, Somalia. Bookmark the permalink. Trackbacks are closed, but you can post a comment.